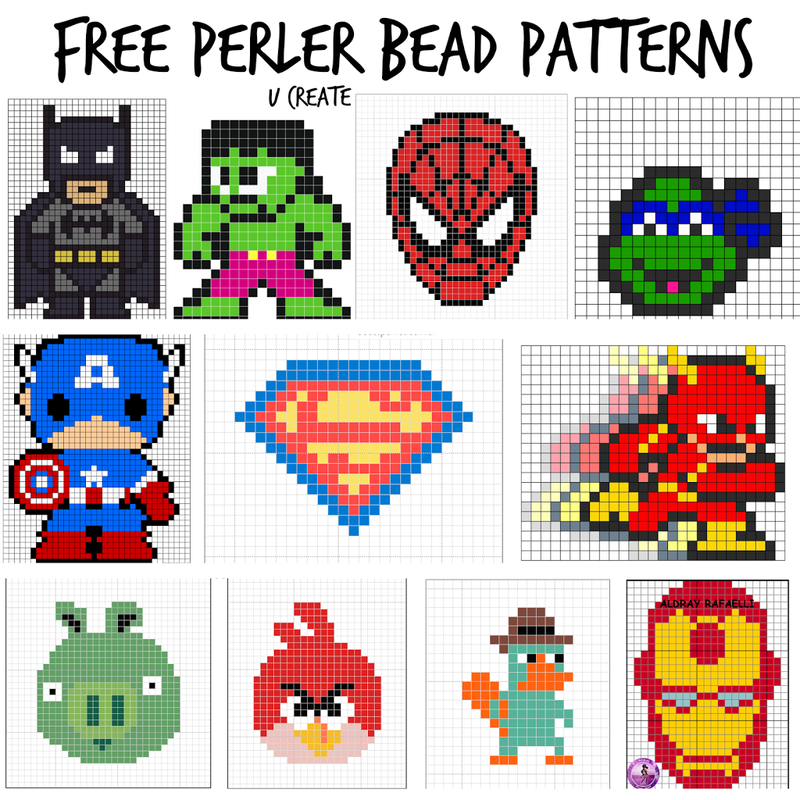 Free Perler Bead Patterns for Kids! My girls and I love to craft while the boys are gone and we decided to have a “Cupcakes and Craft” night together! I posted this on Instagram and I received lots of questions and emails asking where I get my perler bead patterns. I download them for free! 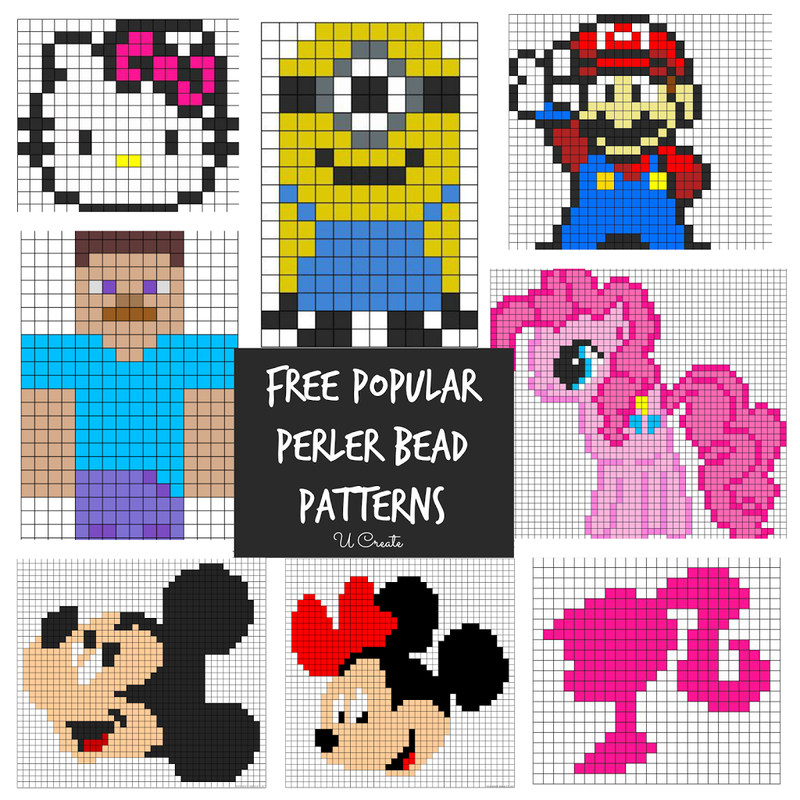 You can search “perler bead patterns” and find a bazillion free patterns with just about any theme. Today I thought it would be fun to share our family favorites with you in one easy place to find with the links! I have three daughters and the princess patterns are their very favorite ones to create! We definitely don’t want to leave out the fun super heroes and angry bird patterns! …and let’s end with these fun classic designs like Barbie, Mickey, and Minnie! 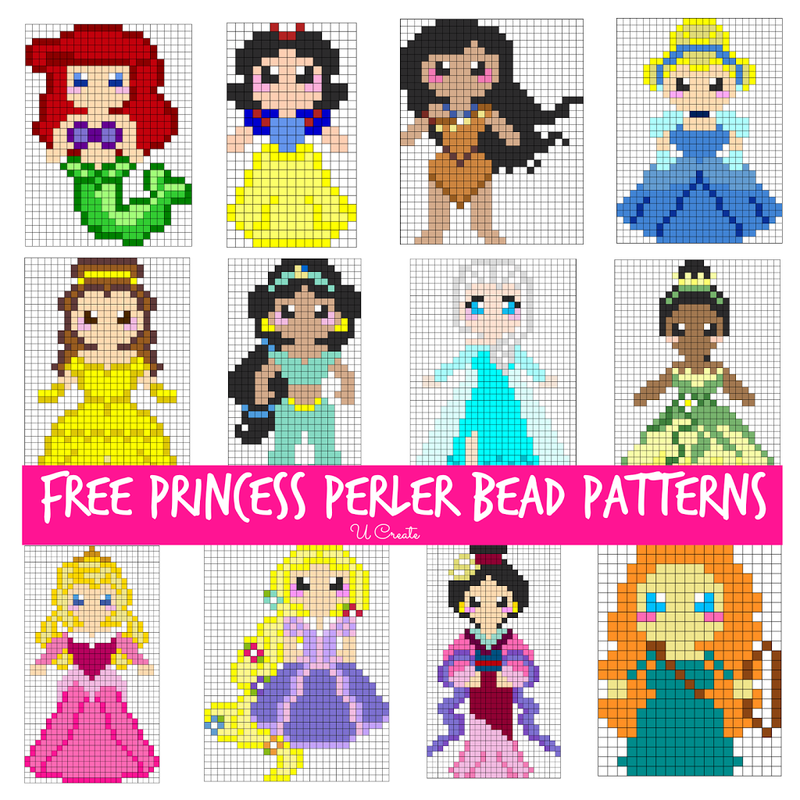 CRAFT TIP: Use perler bead patterns to do cross-stitching and cross-stitch patterns to do perler beading! 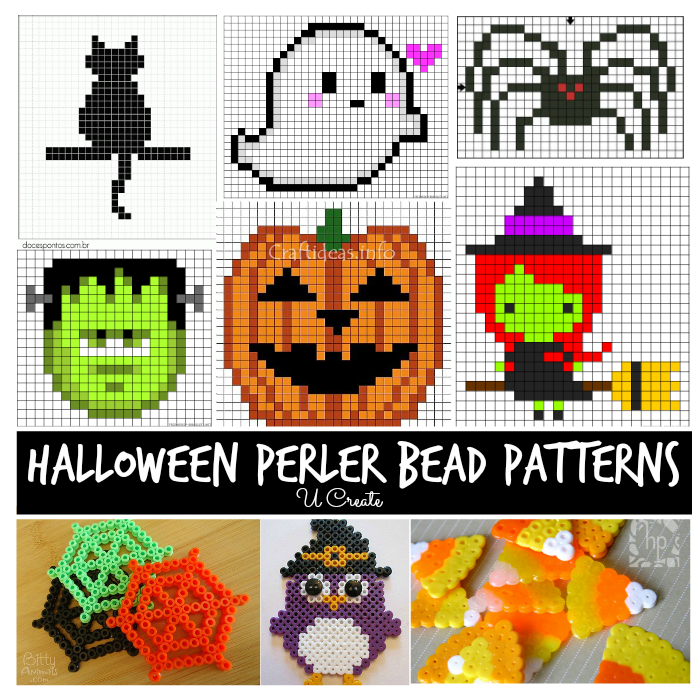 I’ve received questions asking me “what is a perler bead”? 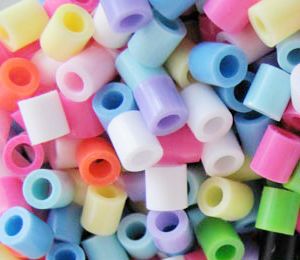 They are also known as melty beads. When you apply heat to them with an iron the beads melt into each other creating an artistic design! I also get asked, “Where do I buy perler beads”? Find them here as well as the design plates, too –> click here. Don’t miss the holiday versions like this Halloween version that was just added! Thank you!! My girls will love this!! Dumb question tho…do you just copy them on a square pattern? Not a dumb question at all! Yes, you use a perler bead pattern plate and create the design onto them so the beads stay in place! Awesome patterns! My kids will be in heaven! Pinned! I’m a teacher, and at my school we call those fuse beads (b/c they fuse together, I think it’s on the jug). We have the various shapes that you can put the beads on. What I don’t get is how you use these patterns if they don’t have the micro pegs you put the beads on. Can someone explain this? Some of the peg boards are clear and you can just print out the pattern and put it under the clear peg board. Our peg board even has little tabs on the back to hold your pattern in place. Great question! You can search for XL perler bead plates for larger designs on Google or Amazon. I think these would transition well to simple crossstitch patterns too! Great find and share! Okay this is awesome. I was looking for some of these more mainstream patterns and you have some really cool ones. Thanks so much! I am going to use a lot of these! Hey, Kari! Could you please tell how can I use a cross stitch pattern if I’m gonna make a perler bead patter or a pixel one? The thing that I see is that with the cross stitch pattern the squares are smaller. It’s all about counting the squares. It doesn’t matter how large or small the squares are just make sure you count the correct number of stitches and use the colors shown. I’m looking for beaded doily patterns,aswell as “Hello Kitty” ones too. Wondering how or where you get a plate for the peeler beads big enough to do some of these? They don’t look like they will fit the standard square ones and I can’t seem to find bigger ones? Hi Sherri, try searching “extra large perler bead pegboard” on Amazon or Google and you’ll see some available. Hope that helps!